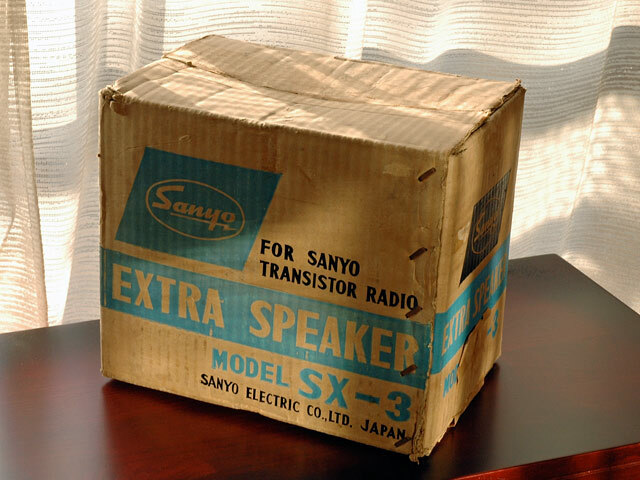 Meet the SX-3 "Extra Speaker". And no, the product name isn't my fault. 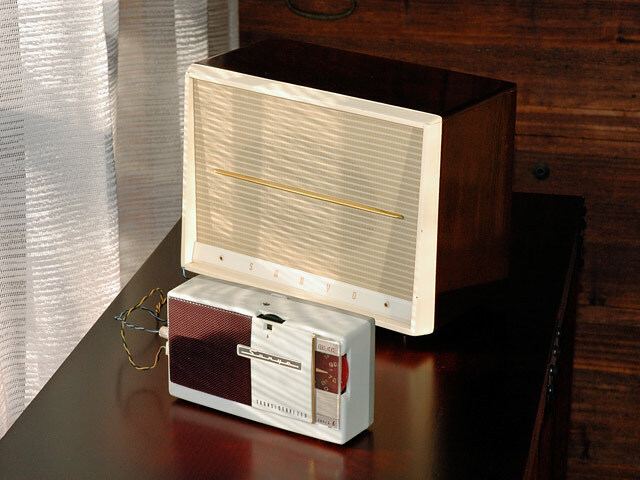 Most of the respective makers made available some version of an external speaker option, allowing small transistor radios to be connected to a larger speaker for a bigger, better sound in the home. Some of the better speaker boxes also supplied power to the radio. The external power source meant you didn't run down those precious AA batteries installed in the radio before heading out on that picnic with plans to listen to the big game while the squeeze doles out the eats and beer. Above you see the Sanyo 6C-3 plugged into the SX-3. Nice mature couple they make. Note the two rustic looking wires running out the left side of the 6C-3. You got it. One is the speaker connection; and the other is the power connector.